Admetus looked around and saw that everyone has divided themselves up just as she'd asked. "Alright, now we just need to get everyone into their costumes. Hold still, this won't hurt a bit!" She smiled and waved her wand in a grandiose gesture, shouting "Nuclear Armageddon Battle Transform!" A blazing beam of energy fires from her wand, striking the ground in-between the two teams and erupting into a dangerous-looking mushroom cloud that envelops everyone (and eventually, most of the park). But, while everyone has a momentary panic attack at the on-rushing effects of Admetus' spell, nobody manages to notice the ominous black beam that strikes the cloud and briefly turns it a sickly shade of green. When the smoke clears, you'll all dressed in far-too-realistic monster costumes. There isn't a human knight or peasant in sight! The only one unaffected seems to be Star Butterfly herself, who remains dressed in her fancy royal party dress. "Huh. That's not right. Some of you are supposed to be riding Warnicorns. And have armor and swords. What the heck! Alright, clearly *something* screwy is going on here. There are more of you here than we started with! 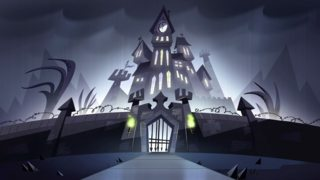 We're going to figure this out with the traditional Mewni investigative technique. We'll vote on who doesn't belong and exile them to another dimension! That'll fix everything!" With a manic glint in her eye Admetus pulled back the top of her wand, which glowed briefly and made a sound remarkably like that of a gun being cocked. All role PMs have been accounted for. If you have not received one (and can't see the Wolf forum), you are a regular Human. Admetus is your princess. Be careful, she has an itchy trigger finger with that wand. Ludo used the spell "Illusion" last night, as evidenced by the fact that you're all wearing realistic monster outfits. The current Day will end at 11pm Eastern tomorrow. Aw man, that awful bad guy cast Illusion. Well, I guess we'll start with something besides seer instead. Who's up for a Day 1 vigilante strike? Last edited by Jrsthethird on 06 Dec 2016, 12:40:58, edited 1 time in total. Bear in mind that we only have 13 players - if we end up with 5 bandwagons today, we're probably spreading out a bit thin. Admetus is such a princess. It is time for rekard to cast his vote. Watch in awe as I declare my all important endorsement. I'm sorry, jrsthefourth, but your dad's gonna die. Last edited by Gungnir888 on 06 Dec 2016, 13:07:15, edited 1 time in total. Thank you for your service, Fairy Catmother, but I'm currently really freaked out. You're a person dressed like a monster, dressing as my mother. I think it'd be best if you took a time-out in jail. You can also faintly hear someone cackling. "Ahh, a new pris- err, student! Welcome!" The Fairy Catmother has been jailed. Her vote(s) don't count and she may not be lynched, mauled, or targeted with night-time powers. She has read-only access to this forum. She will return tomorrow morning. should bring it back to a tie. Approximately 90 minutes remain in the day! is the real monster and dastardly as well. with all votes accounted for.